Let the holiday countdown madness begin! Today I’m sharing a few of my favorite original holiday gift ideas for her: the moms, grandmothers, aunts and other special women in your life that are on your list. I am having SUCH a hard time coming up with gift ideas for my mom this year! Last year, I got her a Kindle. How am I going to top that? I’m looking for something original, something beyond the usual pajamas and sweaters that I get. I’ve reviewed a few great things, come across some others that I think fit the bill. I included ideas for all budgets (and I do mean all budgets). 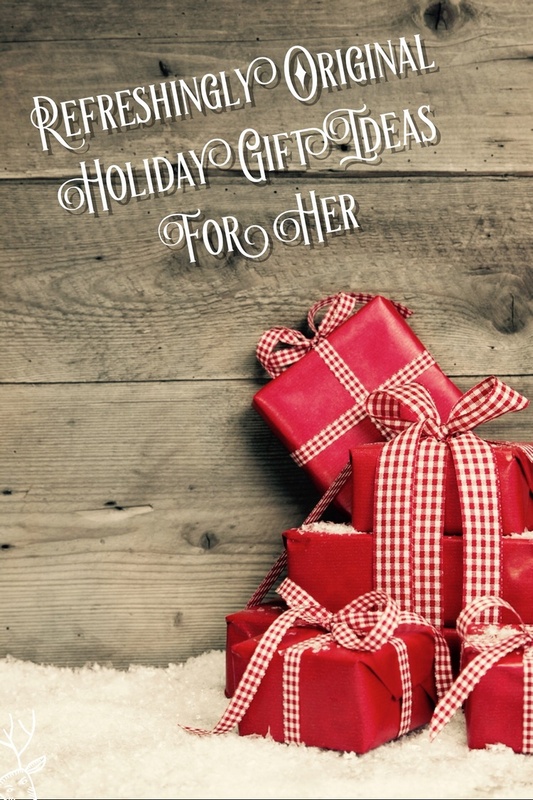 Check out my picks for original holiday gift ideas for her! Go away mom, no peeking here! Full disclosure: my dear friend Adelina owns Three Jays Crafts and makes all the jewelry. She’s one of the best people I know. Still, I wouldn’t have offered to share her work if I didn’t love it! Adelina makes absolutely lovely jewelry that is just so meaningful to me because I know she crafts each piece with love. The pendants range from understated elegance to sparkling glitz and glam. Each necklace comes with either a chain or a coordinating organza and ribbon necklace. I’m really loving the ribbon necklaces right now! 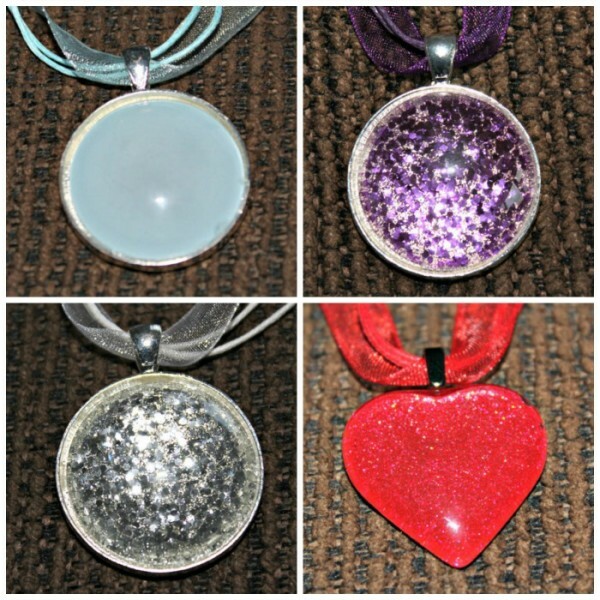 The necklaces in the picture above are a few of my favorites for the holiday season. I think the silver glitter necklace would look beautiful with any Christmas outfit, while the purple glitter necklace is gorgeous for New Year’s Eve. The sparkly red heart is festive for Christmas now, then a Valentine’s Day outfit come February. The light blue necklace reminds me of ice, except in a good way! It invokes visions of a day ice skating on a frozen lake, of the first winter snowfall (which at this point may never come! ), and all the fun parts of winter. Prefer thoughts of summer? Peering into Adelina’s Square Glass Blue-Green pendant reminds me so much of when Jacob and I visited Grand Turk on our Carnival cruise back in 2010. 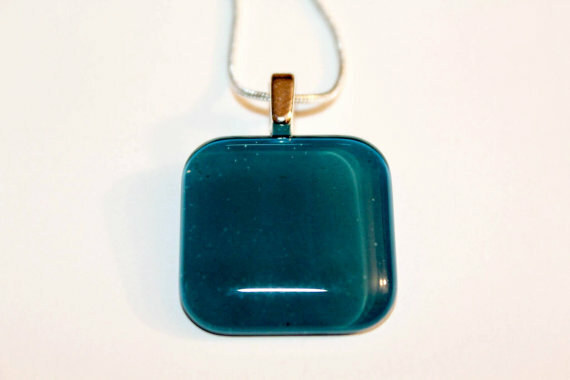 The color of the pendant is the exact color of the deeper parts of the ocean! Adelina is constantly adding new stuff to the shop. I have several pieces from her that she sent me quite a while back. I wear them often, so I can attest to the quality. If her necklaces can hold up to me and my crazy thick hair and repeatedly getting pulled up with my scrunchie (flash back to the 80s there! ), they can pretty much withstand anything! She designs beautiful pieces that last, yet offers them at prices that everyone can actually afford. You just don’t find that often! Right now, you can get free shipping on orders of $20 or more with coupon code: FREESHIP20. Expiration date is Dec 15. Every item comes with a paper gift bag with bow imprinted on it, all ready for gifting! Prices range from $15-21. On the other end of the price spectrum, Chando Designer Porcelain fragrance diffusers are on the extravagant side, but they’re definitely original! I received the White Lotus diffuser from their Elegance collection. I didn’t realize my window was reflecting off the side, so here’s a better picture from Chando themselves. Mine is all white though. 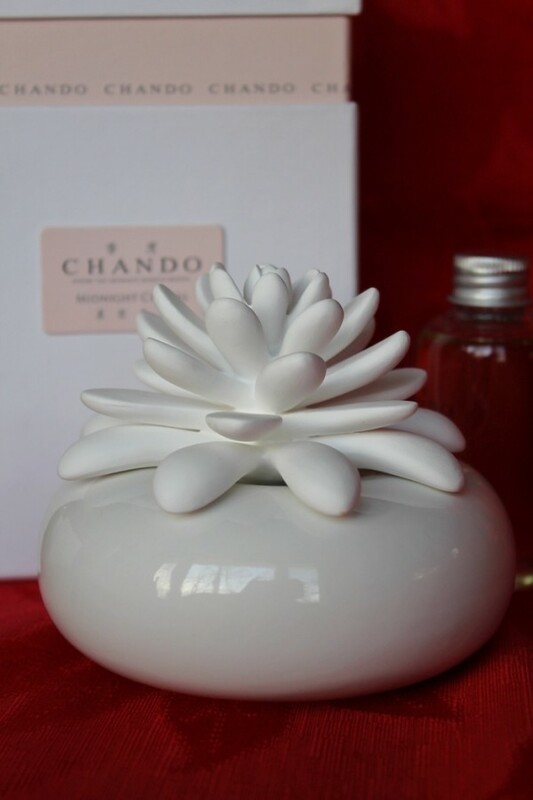 Chando is a luxury line of handcrafted home decor and fragrance accessories, created by Mei Jia Home Décor. The line just launched in North America. Up until now, it was only available overseas. The story behind Chando is really neat. While it looks like everyday- albeit lovely- porcelain, each Chando diffuser is actually made from a unique patented Aroma Porcelain®. Vicki Chen, Chando’s Aroma Porcelain® designer and founder, based it on the art and techniques of porcelain sculpting that have been in her family for generations. The porcelain goes through 42 manual production processes to create the perfect surface and texture needed to flawlessly diffuse the fragrances. The Chando line features several different collections, including the Elegance Collection (which features the White Lotus), the China Revival, the Fantasy Collection, the Myst, Treasure, Youth and Urban Collections. Each diffuser comes with a designer fragrance that perfectly accompanies the piece. Prices range from $235-500+ for Chando diffusers. Why give flowers just once when you can give her flowers every single month for three months, six months or a year! Too often we just send flowers on a specific holiday. Mother’s Day, birthdays, anniversaries and “sorry you’re sick” days. Change that tradition with Bloomsy Box, the flower subscription service that delivers handpicked, single-variety bouquets to her door every month. 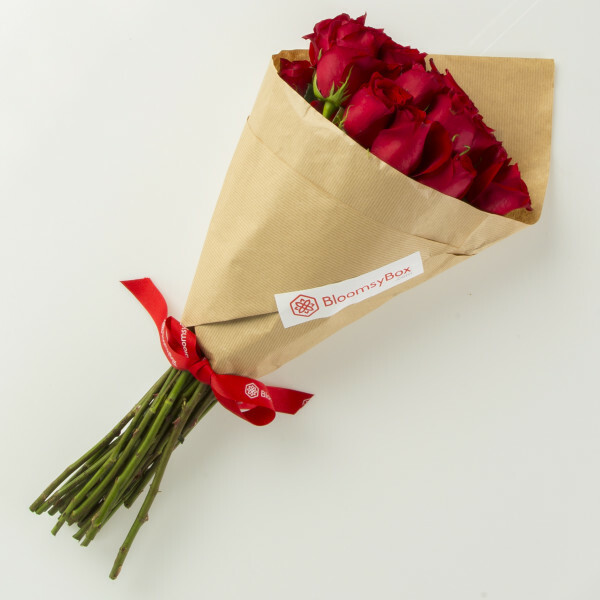 Here’s how it works: you pick a plan, they pick the flowers, then they ship them to your recipient every month. That’s it! I love that the monthly bouquet is a surprise. Will she get roses? Daisies? Daffodils? Whatever she gets, you can feel good knowing this original gift idea for her is kind to the environment and to farmers. Bloomsy Box works with sustainable farms that take care of their workers and the planet. Every bouquet comes tied with the signature bright, fun bow. I love that bow almost as much as the flowers! It’s happy and fun! 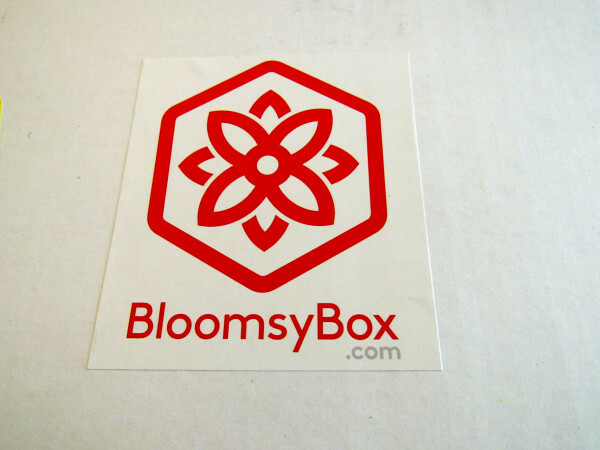 Bloomsy Box subscriptions start at $34.99 a month, shipping included. Check out the gift options to learn more. 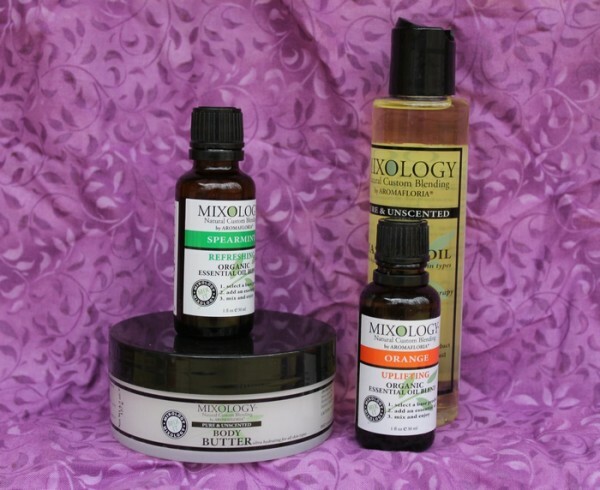 Make it easy with Mixology Natural Custom Blending Aromatherapy. Check out my review here. You could also go the total DIY route and get her books on soap making or with lotion recipes, the actual oils themselves, and other supplies. I have essential oils on my wish list for Santa! Sold on NOVICA (one of my favorite sites to browse for original gift ideas for her and him), these little darlings are handmade in Thailand. I need them. Now. 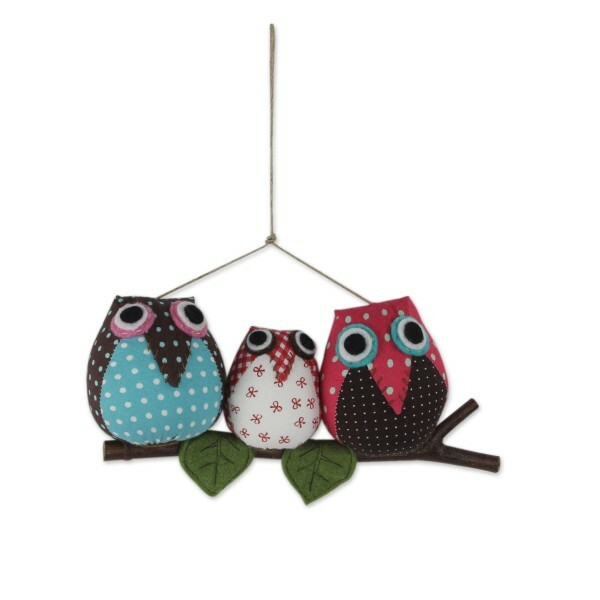 They’re called the Joyful Owl Family. That you are, little owls. That you are. 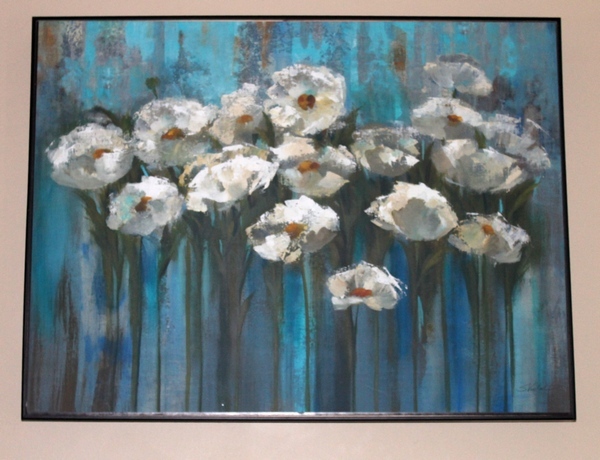 SwitchArt from Art.com is the coolest way to decorate. Sick of one picture? Peel it off and pop on another magnetic image! It’s as easy as that! They have tons upon tons of styles. Don’t like any of those? Make your own! If mom has five kids, make her a Switch Art picture for each! Then she can swap them out when each of you comes to visit, always making each one thing “hey, I must be mom’s favorite, I’m the one on her wall!” Just kidding! Check out my review from earlier this year! I’m so happy this trend has returned, I LOVE all the adult coloring books out there. By “adult,” I mean grown-up, not, you know, adult adult. Ewwww! Get your mind out of the gutter! My favorites so far are the Skyhorse books I reviewed here. Be sure to check out that post, it has some great relaxation tips + free coloring pages for you! They have a ton of different designs to choose from. 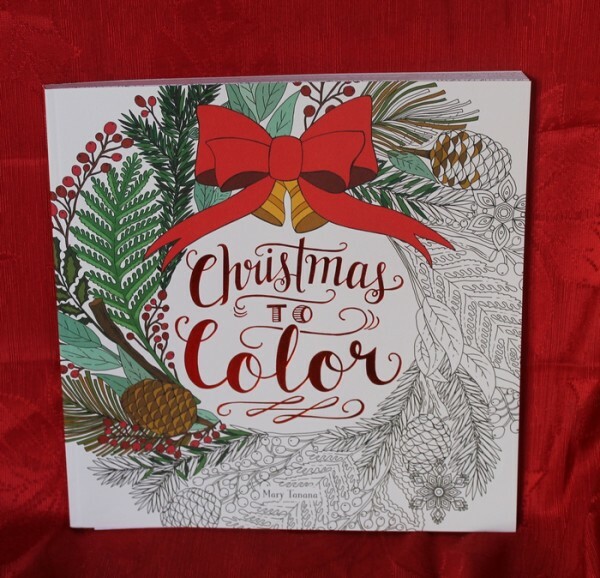 I also got the Christmas to Color from Harper Collins. SO much fun! It’s filled with 96 pages of seasonal designs. Very relaxing after a long day of writing, baking and cleaning! Help her discover her roots! Give her the gift of AncestryDNA and settle the debate once and for all of whether she’s English or Irish! I wish this was around when my Dad was alive. He was like 99.9% Irish, but I found Englishmen in our ancestry. Boy, did he pitch a fit! I rather like the Brits, so I’m fine with being a little bit English! I’m also Irish, Italian, French, German and Lithuanian. Goodness knows what else I’d find mixed in there with an AncestryDNA test! Anyway, now through Christmas, you can save 10% on the test when you give it as a gift. These are just a few fun original gift ideas for her that go beyond the usual pajamas and sweater! Although, to be honest, those things will also be under the tree for mom this year most likely. Shhhh! Don’t tell her! Do you have any original gift ideas for her to share? Tell me in the comments! I could use some more! Those are all awesome ideas. I keep hearing all kinds of buzz about those adult coloring books. OHHH I Love the SwitchArt one! That would be awesome to have in a house! Switch out with the seasons or even with your mood! I would love to receive some Aromatherapy Oils as a gift. I have been thinking about buying some, but have been dragging my feet for some reason. These are really cool ideas. I really like the jewelry pieces. 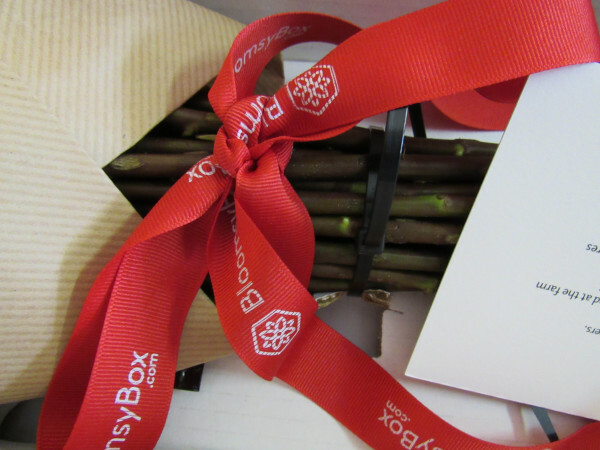 The Bloomsy box is a good idea too! Crafting your own jewelry is definitely nice and I love the idea of giving a perfume. I think those two are really well appreciated by loved ones! I am emailing this link to my husband! These are awesome ideas. Love the idea of getting flowers every month. Talk about a gift that keeps giving! These are awesome gift ideas. Those fragrance diffuser would surely be a perfect gift item. These are some great gift ideas. I know people are looking for budget friendly items. Love these gifts! That diffuser is just so pretty and these are all easy on the budget. These are all awesome ideas. I love the pretty perfume bottles. What great gift ideas! I love the Bloomsy box! I’d love to have fresh flowers delivered to me. These are some great gift ideas! I love Bloomsy Box! I had their subscription a while back and had to cut back on funds. I’d love to get a subscription for Christmas! These are some really great ideas! 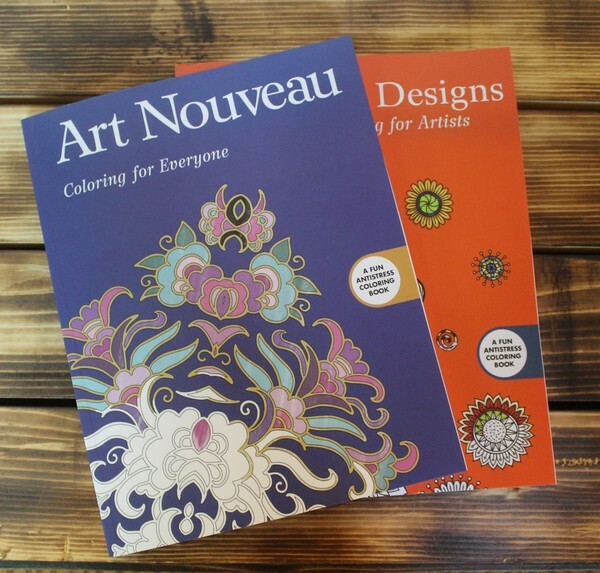 I’m adding the coloring books to my list! Great gift ideas! I love the candles! These are pretty great. I’d love to have a diffuser, we currently have none.